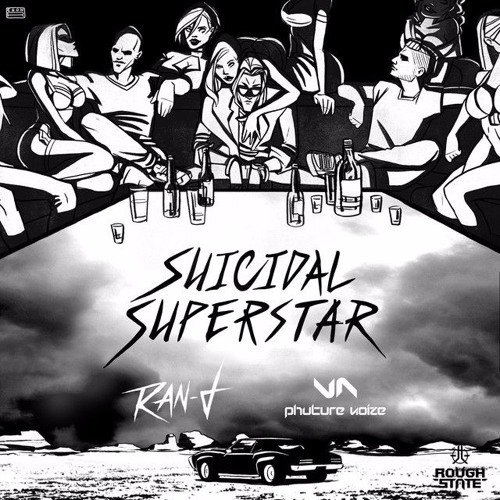 I really liked the sound of Ran-D & Phuture Noize - Suicidal Superstar, that I decided to make an Uptempo Edit of it and puzzle together a nice edit through use of already existing parts of the original track to make it more accessible for uptempo. So here is the preview of "Ran-D & Phuture Noize - Suicidal Superstar (Abaddon Uptempo Edit)"! nah im kidding, much better then the orginal! Offf almost better then the orginal! still very nice. Whats the bpm for this song? This is definetly one of the best edits out there! Big up to you mate!